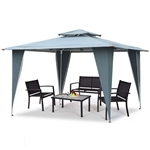 Add some shade to our outdoor patio or garden with a gazebo. 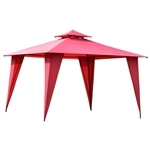 Protection from rain, shine and bugs, our Gazebos provides a sanctuary for celebration in yard, lawn, deck, patio or park. Many styles and sizes to choose from.